To go with our fresh new look we re-designed our business cards and got OpalPrint to make them. The front (common to all) was hot-foiled in white and Foilco 151 onto Colourplan Ebony 175gsm. 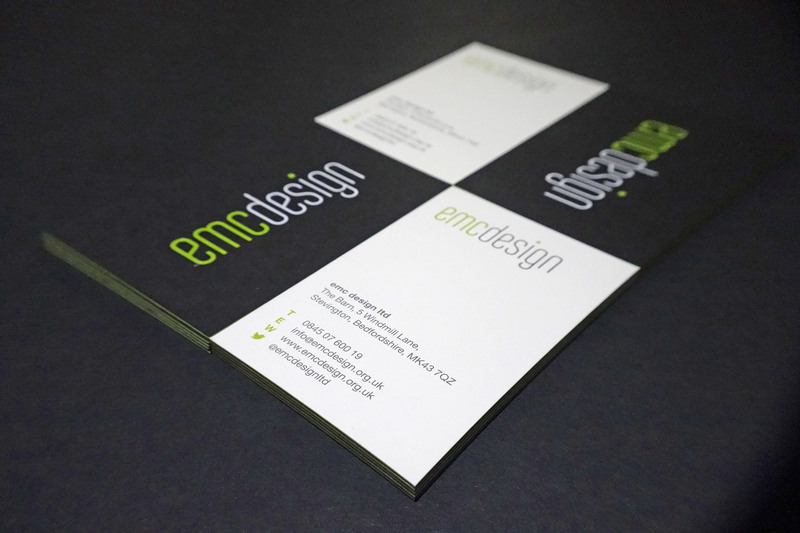 The cards were then triplexed with Pop’set Lime Tonic 320gsm to make the inner board. We think they’re great and want to share them so if you see any of us out and about make sure you ask for one! I just noticed this and wanted to say ‘Thank You’ for including a link to our site. Very much appreciated. We love the cards and hope you do too. Hope to speak with you again soon.